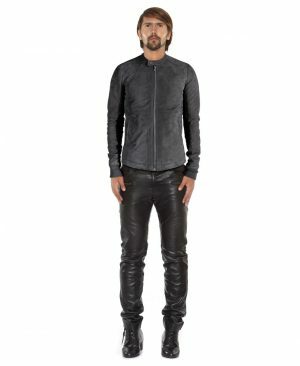 Now switch your style to a suave edgy option without compromising wearability, with this mens black leather jacket. 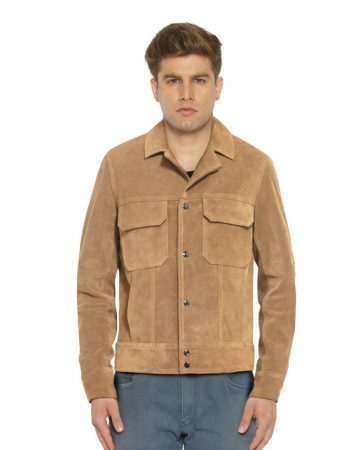 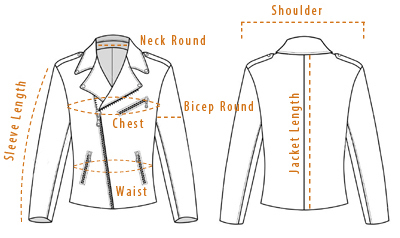 Featuring a band collar with buttoned tab and zipped cuffs, this jacket will give you the charisma you have always desired. 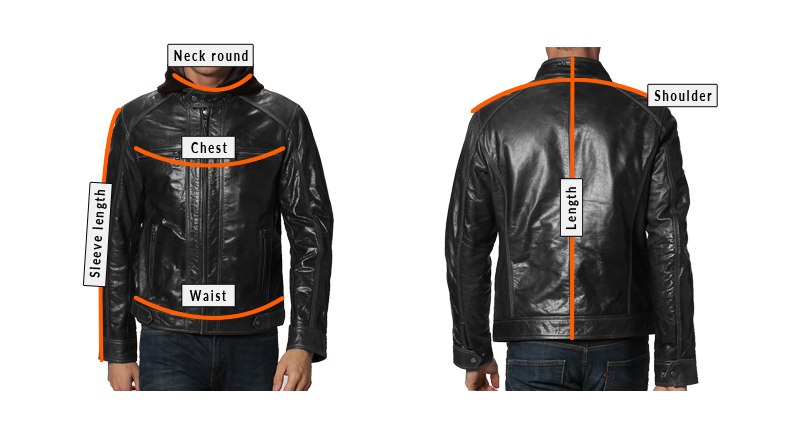 Side and chest pockets and a comfortable front zip fastening are only some of the highlights of the piece. 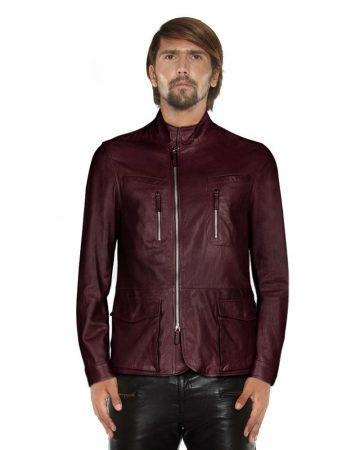 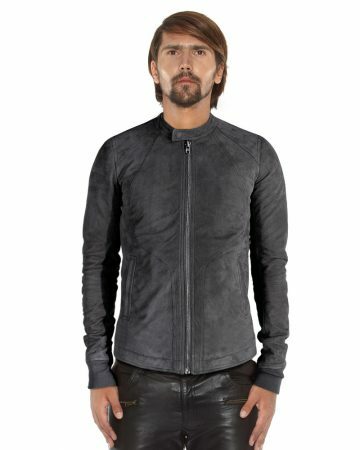 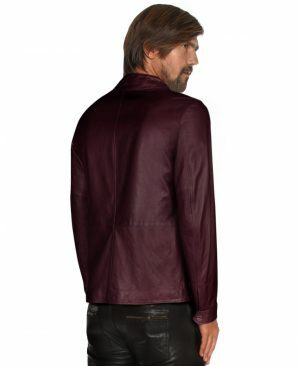 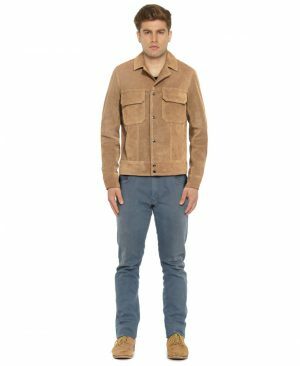 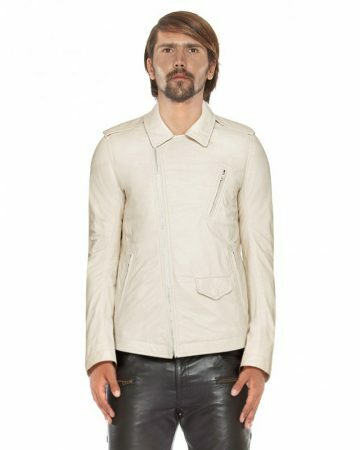 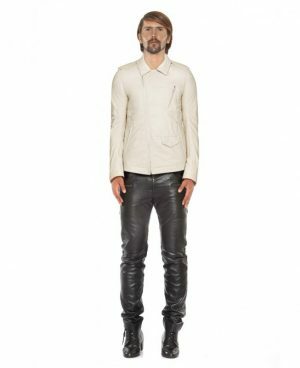 So get this lambskin leather jacket online and completely transform your look.